This was the second Bible Study of the Standing Committee Meeting led by the Rt. Rev. David Obiosa, the Bishop of Ndokwa Diocese, it was titled “Living under s the Shepherd-King.” The text taken from John 10:11-18, it was based on the theme “THE LORD IS MY SHEPHED”. The study revealed eternal truth and involved interactive questions and responses. Jesus says “My sheep know Me and I know My sheep.” He is our Defender and as a Good Shepherd He calls us by our names. The bible study held in plenary reveals that as sheep, we are in the midst of danger because of the presence of wolves. The evil days are here with us and we need to protect our stewardship. We are admonished within the study that we should live what we preach using the Bible as our guide. It was expressed that Jesus left the comfort zone to die for the sheep and that we too should be willing to work for the sheep with the risk, “If we perish we perish.” The clergy should be working for the sheep and nor caring for herself. Bishops and priests should send their men out for evangelism and go with them, identifying with the sheep. The motive of shepherding should be in pleasing the LORD and not the man. The quality of the sheep was also highlighted. Sheep are submissive and obedient unlike the goats that are stubborn. It was discussed during the Bible study that criticism should help to promote the interest of the Church and God and to bring down. The study discouraged pleasure seeking and encouraged all to follow the Lord’s global vision. Our evangelism should not be within the metropolis alone but extended to the remotest parts of the world as there are so many unreached areas. 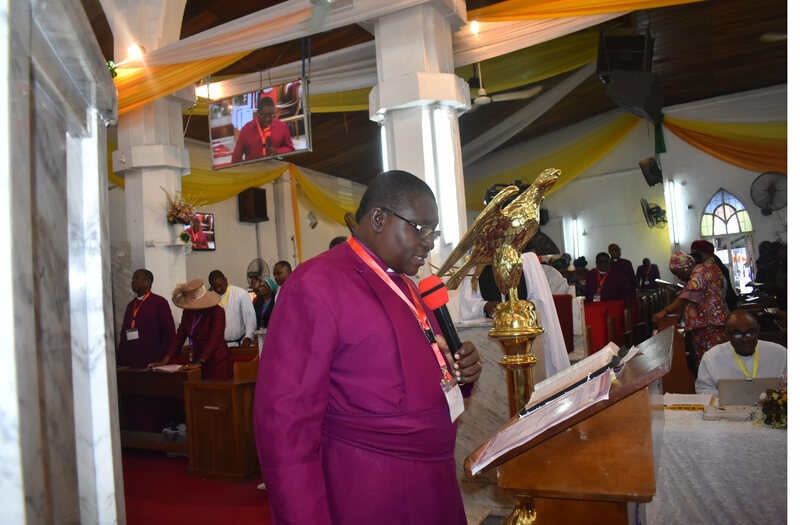 Next article88.6 MILLION NIGERIANS ARE POVERTY STRICKEN – Bishop Christian Ide.